Avenue offers no cost foreclosure counseling. We help our clients navigate the foreclosure process to find the best solution for them. 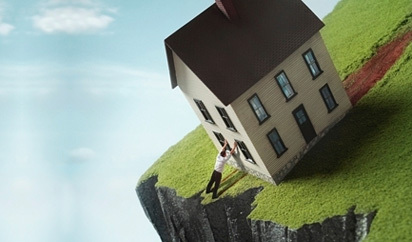 Avoiding Foreclosure The dream of becoming a homeowner is still at the top of the list for many people. In a recent survey by the National Association of Realtors, 75% of non-owners believe that homeownership is part of their American Dream. It can take years to become a homeowner and only a few missed monthly payments to face foreclosure. In this article we will discuss some of the things you can do to protect yourself from foreclosure and if you are already in the foreclosure process, some of the things you need to beware of. First, what does it mean to be in Foreclosure? Prepare yourself to be a successful long-term homeowner through Pre-Purchase Education and Counseling before you buy a home. Avenue is committed to helping Houstonians achieve the dream of homeownership in a sustainable way. In a NeighborWorks study, clients that attended class and counseling were one-third less likely to become 90 or more days delinquent. Education should be a key part in your journey to homeownership. Avenue offers First Time Homebuyer classes that prepare you to become the best advocate for yourself in the home buying process so that you can position yourself for long-term success as a homeowner. Creating a household budget to determine how much home you can afford to buy based on your actual expenses and not based on the lender Pre-Approval which doesn’t usually include you essential living costs like medical care or child care. Credit Score requirements in order to get a mortgage Pre-Approval as well as understand how different items on your credit report impact (or not) your ability to purchase a home and things you can do to improve your credit score. Shopping for a home mortgage and how to compare the loan options apples-to-apples to make sure you find a lender and a long product that meets your financial needs. Learn the difference between a Conventional Loan product and an FHA (and VA, USDA loans). The Home Shopping Process, what to expect, what the norms are and how to avoid common and costly pitfalls. Facing Foreclosure? Here’s what to do next. If you have missed a few monthly mortgage payments and are in the foreclosure process, you will likely want to get the fastest help possible. Unfortunately, there are companies that will promise help only to scam you out of your money or your home. Keep reading to find out what to be aware of and who you can look to for help. The scam artists tell you that if you pay them a fee they will negotiate a deal with your mortgage lender and possibly save your home. One telltale sign is that they tell you to not contact your lender while they work on your case. They may also ask that you send your monthly mortgage payment directly to them. An offer to buy your home is made if you sign over the deed to your house and move out. Once you transfer the deed the con artist will rent your home and let the mortgage company go through with the foreclosure. A transferred deed DOES NOT transfer what you owe to the mortgage company so you will lose your home and still owe the mortgage company. In another variation of this scheme you are asked to transfer over the title to your home, you can stay and rent it and then buy it back later. What they do not tell you is that buying it back is usually so expensive you’ll never afford it. Gather all documents that you will need including your loan documents. Read them so that you know what your lender may do if you can’t make your payments. Contact your mortgage lender’s Loss Mitigation Department. Let them know about your situation. They have options that may be able to help you. https://apps.hud.gov/offices/hsg/sfh/hcc/hcs.cfm. Help from a HUD approved counseling agency is free of charge. Facing foreclosure is a stressful situation, but there is hope. Never give anyone money upfront with the promise to help you and never sign any documents that you do not read and understand. If you need guidance to learn about your options, to find resources that may help you, and/or to negotiate with your lender, call the HomeOwnership Center to find out if you are eligible for Foreclosure Prevention Counseling. If you don’t qualify, we can direct you to other community resources or to an online self-help portal for more guidance.